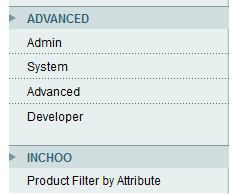 Sometimes one needs to have additional filtering criteria inside of a catalog’s product grid. Here is an extension that adds custom product attribute to search filter. You can choose to use any product attribute and it will be shown in the product grid. The extension settings shows up under System->Configuration menu in its separate tab. 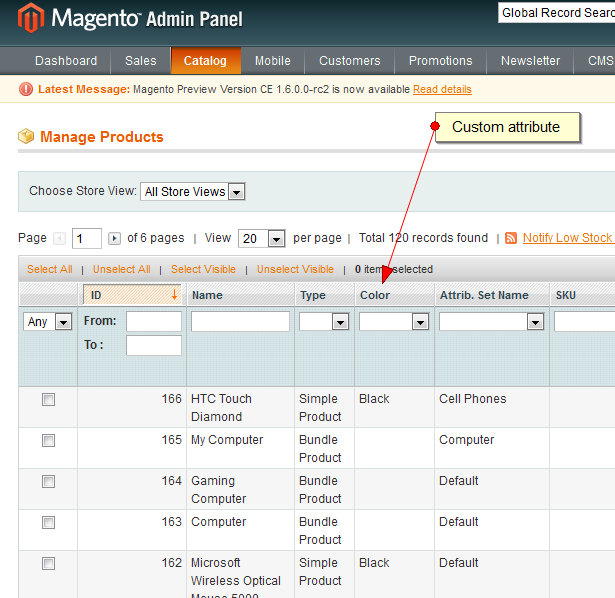 To add another column to the grid we need to override the Magento’s class: Mage_Adminhtml_Block_Catalog_Product_Grid. This is definitely not all the code used in this extension. You can download the newest version of the extension here. I used your extension but its not showing all custom created attributes in dropdown. Please help me to solve that issue. Downloaded Ext. Not Working With Magento 1.9.2.4. Is there any Help? Is there a way to use two or three atrributes, or it’s limited only to one? Great work Inchoo as always!